2015 is the year of the centenary of Joseph Zobel’s birth, on 26th April 1915. I’m really looking forward to taking part in events marking this centenary throughout the year. To celebrate the beginning of his centenary year, I’m posting a text about my own ‘first meeting’ with Zobel. During Martinican fieldwork in 2013, I was lucky enough to meet Mme Raphaëlle Bouville at the Médiathèque in Rivière-Salée. She had produced a wonderful display on Zobel, bringing his literature to life for local readers of all ages. Raphaëlle asked me to contribute a text on Zobel so that school children in the Rivière-Salée area would understand my perspective on his literature… and how much his work is appreciated by readers all over the world. Bonne lecture! Happy reading! Ma rencontre avec Joseph Zobel est une rencontre littéraire. Elle m’a transportée de ma vie quotidienne en Angleterre pour me projeter dans un nouveau monde: la Martinique. Le premier de ses livres que j’ai lu, c’était Laghia de la mort. Grâce à ce texte, j’ai découvert ce que c’est, un « laghia », cette lutte entre deux hommes, rythmée par le tambour. Et le conte ‘Le Syllabaire’, qui parle de l’importance de l’école, institution qui peut nous ouvrir de meilleurs lendemains. Institution qui reste, hélas, hors de portée pour beaucoup d’enfants à travers le monde. C’est cette même thématique que j’ai retrouvée chez La Rue Cases-Nègres, son magnifique récit d’enfance. 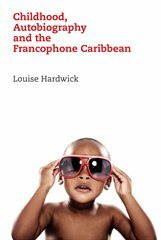 L’importanc e de l’enfance chez Zobel et d’autres auteurs antillais m’a inspirée à écrire une thèse doctorale à l’Université d’Oxford, thèse récemment transformée en livre, Childhood, Autobiography and the Francophone Caribbean (2013). Malheureusement, je n’ai jamais pu rencontrer M. Zobel en personne, mais je prends plaisir à le retrouver à chaque fois que j’ouvre un de ses livres. I’ve been blogging about Zobel and my activities for three months now. It’s really encouraging to see that the site has had hits from all over the world! I’ve received great feedback from Zobel’s daughter, Jenny, and the Martinican author Patrick Chamoiseau. I’d like to encourage any other readers to please leave a comment, and help me develop this blog into a helpful tool for others out there with an interest in Martinican literature. In an unexpected twist, the blog has received over 50 visits from Japan! After I spoke at a Round Table at the Toulouse La Novela public festival, a retired Physics professor in the audience, Jean Léotin, contacted me about a conference he was organising in Martinique. The prestigious 5th International Symposium on Terahertz Nanoscience took place 1-5 December 2014 in Martinique: http://nanojapan.rice.edu/teranano5.shtml. Prof. Léotin felt my work could help his conference delegates to understand the history and culture of the island they were visiting, and kindly added a link to my blog to the conference homepage. Delegates came from all over the world, with many from Japan (previous Symposia had been held in Japan). It’s a development I could never have envisaged, but perhaps it’s particularly fitting, as from the late 1960s, Joseph Zobel developed a very strong interest in Japan and Japanese culture (as related in a newspaper article). As a young student, he had dreamed of studying Art and Architecture, but was refused a colonial scholarship to study a subject which the authorities deemed ‘unsuitable’ for a young man of his social origin, an episode recounted in the semi-autobiographical novel La Fête à Paris, 1953. Remarkably, in his later life, it was the discovery of Japanese art which finally enabled Zobel to pursue this interest. He became trained in the floral art of Ikebana and the art of Shiatsu massage, in addition to studying Japanese garden design. My project will develop a more thorough exploration of Japanese influences in Zobel’s later work, demonstrating that he is a more exciting, complex, transnational author than critics have previously allowed. 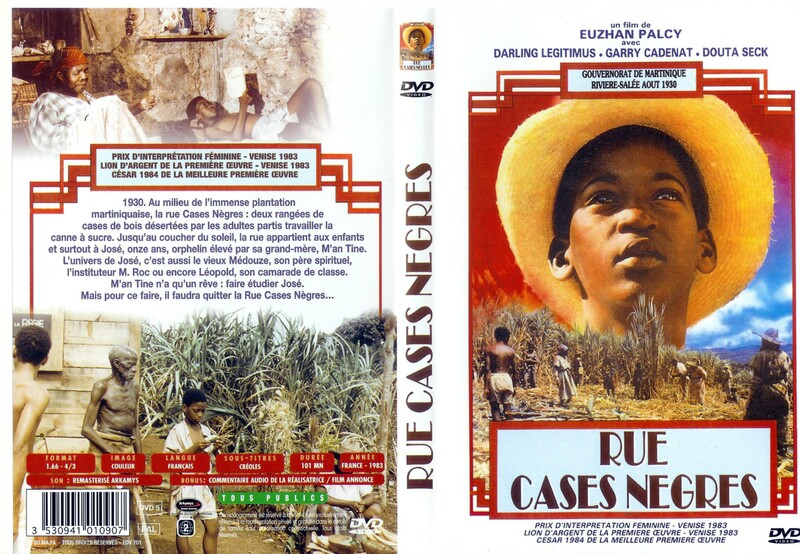 The book was adapted into the prize-winning film Rue Cases-Nègres by Euzhan Palcy in 1983 (English title: Sugar Cane Alley), and it remains the only film adaptation of a Martinican text to date. The film is available in numerous languages and has played a vital role in raising global awareness of the French Caribbean by bringing iconic characters, sights and sounds to cinema and TV screens. 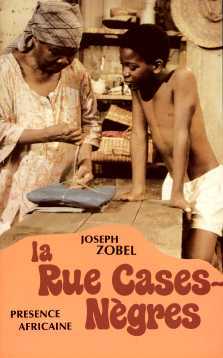 Yet despite his status as a canonical French Caribbean author, little is known about Zobel’s wider publications and international career. He published novels, short story collections and poetry, and lived in the Caribbean, Africa and France, where he interacted with the leading thinkers of the Negritude movement. He became a radio broadcaster in Africa, released a record of poetry, and in his later life, became fascinated by Japanese art. Please enjoy using this blog to learn about Zobel and the French Caribbean, and feel free to leave feedback via the page “Questions and Comments” – this will help shape the blog’s development! Almost there/On y est presque! It’s almost October, when the project officially begins! Scroll down to the archives to follow the project’s development! Le projet commence officiellement en octobre. On y est presque ! Pour suivre le développement du projet, descendez jusqu’aux archives en bas de l’écran.